In today’s world of low cost, high quantity digital output, Narratives Music are something of an enigma. Compared with the hectic release schedule of most D&B imprints, their leisurely pace (with sometimes only one release a year) stands apart from the pack, but the bar set by those releases very much stands apart too. Quality over quantity is a maxim more imprints might do well to try and follow. The latest work on the imprint comes from relatively unknown producer Concealed Identity and holds true to the aesthetic of previous releases; deep, beautiful, and unbelievably well produced. The positively cinematic Levanter brings together epic pads, super crisp drums and soft, melancholy sax for a constantly cascading, reverb drenched halftime exploration that could scarcely be more spaced out if it tried. Dancefloor material this is most certainly not, but powerful and enthralling it most certainly is. 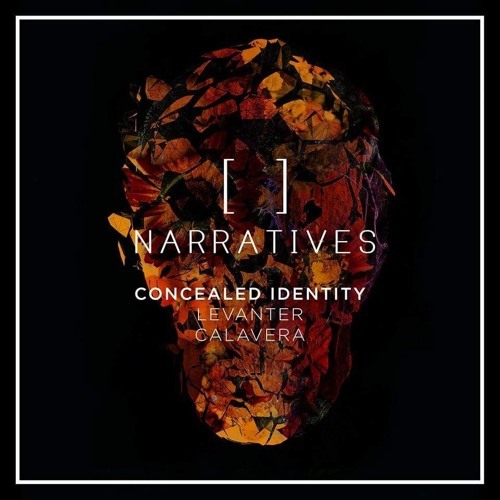 Calavera meanwhile brings similarly crisp percussion and hints of jazz but mixes them up into a more insistent, more threatening composition that carries a hint of the Metalheadz sound. The creepy string work and clattering drum section are absolutely hair raising on this one. Narratives have once again excelled themselves here! Check out the clips below and hit up their Bandcamp page to bag the release on vinyl or digital ahead of the Jan 29th release.